Wednesday night saw found us getting very little sleep- The Boy had a cough that would just not be stopped and subsequently everyone was kept awake. So yesterday morning when I woke up so tiered I thought my eyes were made of sandpaper I made the decision to keep both Littles home from school- while this may seem counterintuitive ( I could have napped while they were both away) I knew neither of them would be at their best for the school day- so home they stayed. 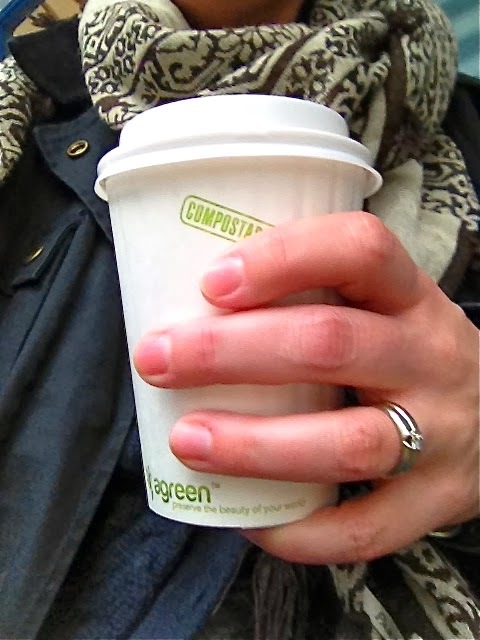 Looking at a full day with two tiered and cranky children I steeled myself against the inevitable terrible day it was sure to be. Then something miraculous occurred- once several cups of coffee worked their magic I noticed that the day was not too grey- the clouds were breaking- no rain. With my two favourite Littles at home this meant only one thing- beach day! We grabbed the scooters and threw together a hastily assembled picnic and headed out for adventure. Our favourite neighbourhood beach was of course mostly deserted- really only busy during lunch when near by offices empty out- and so we had the place to our selves- peace prevailed through out the land. Sometimes when we are at our most vulnerable things just have a way of working out- what was sure to be a very hard day became an easy day once I threw any additional expectations out the door. We were fed and clothed and we played- some days that is all anyone really needs to be happy- to fix a terrible night- well play and a tonne of coffee for me! Walking through our neighbourhood I noticed so many promising signs of Spring- late February is like that- it all happens very suddenly- the trees start blooming- the birds start freaking out- crocuses are blooming and best of all the days are noticeably longer. I need Spring so badly- I need longer- brighter- warmer days- I am so over Winter(which yes I know could have been much worse). Looking back to a post about January it's hard to believe how much things change yet stay exactly the same in such a short span of time. My Littles are growing- maturing- they still squabble but the times that they get along and play or at least work out their own disputes is starting to outweigh the times I need to intervene. 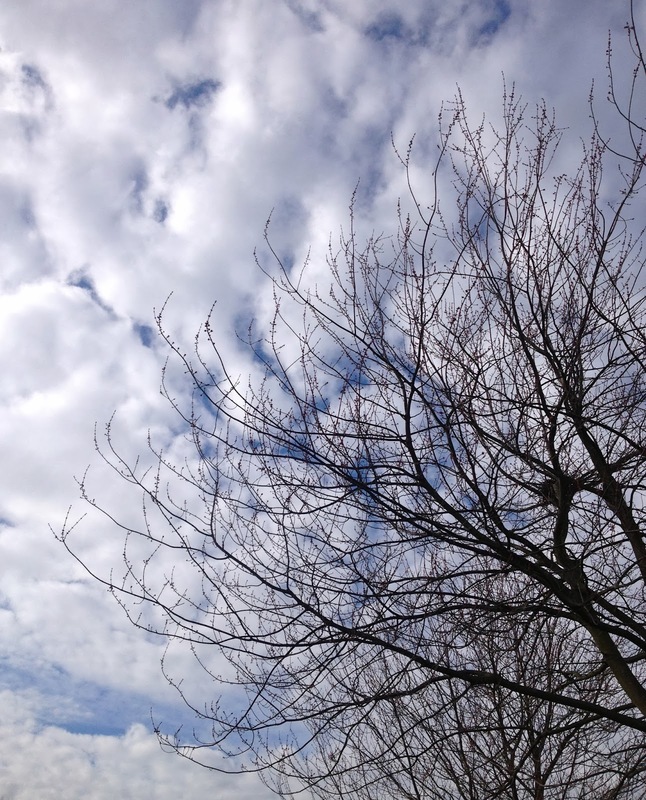 Seeing the physical manifestation of their growth and maturing can be compared in a handy metaphor to the buds on the trees- just waiting to bloom. I wont do that though- no metaphors- no pushing them to grow- just sitting back and enjoying both my children and the trees in late February. Friends it is Friday- this week we are sticking close to home- although I so wish to be with my family in the Okanagan the roads are just too nasty right now- my heart is with them- with my Mom. May you all be surrounded by love and family- with sunshine in your hearts if it is not on your shoulders- Happy Friday! Lets be really honest here- some days there is seemingly nothing to eat in the house- some days it is five o'clock and you still have no idea what to make for dinner- some days a trip to the grocery store with two or three crabby kids seems like the last thing on earth anyone would want to do. Still people gotta eat. 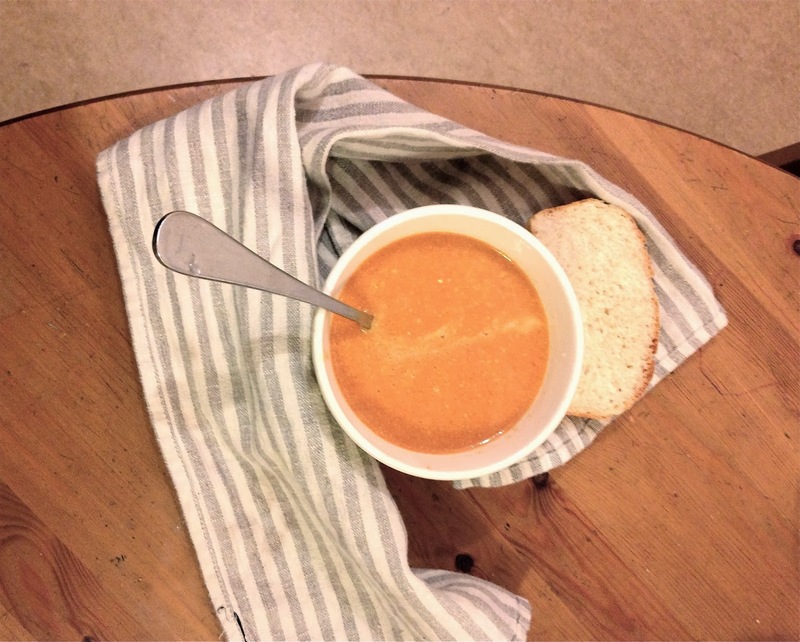 It's a conundrum for sure and one I faced just last night- so I thought I would share one of our favourite quick- from scratch- soup recipes. It's whats to make when the pantry is empty! In a soup pot heat oil or fat- I like to use bacon fat which I save in a small jar in the freezer for such events as cooking soup. So heat up the oil or fat and saute the diced vegetables- this is a basic mixture for any soup- onion, celery and carrot. Once all the veggies are soft and the onions have gone transparent add your soup stock and canned tomatoes- add water- 1 or 2 cups depending on how watery your canned tomatoes are- allow to simmer for a few minutes before blending with an immersion hand blender- blend until the soup is smooth- add curry and pepper- remove from heat and add cream- still until combined. Serve with a nice chunky slice of bread for dipping! This is the perfect soup for a cold winter night when the craving of fresh veggies is strong- I will admit that last night I used our last jar of canned tomatoes and I swear I could taste the Okanagan sunshine! I also used garlic that my dad grew and carrots that our kids planted- it is so satisfying that even when the pantry appears to be empty I just need to dig around a little to find treasures from the past summer! * bullion cubes- Ok so while soup stock is the best ingredient to use if your pantry is truly empty you may still have bullion cubes floating around- if this is the route you are taking please be sure to add at least one cup of water per cube! Long in its cloudy bosom hoarded. 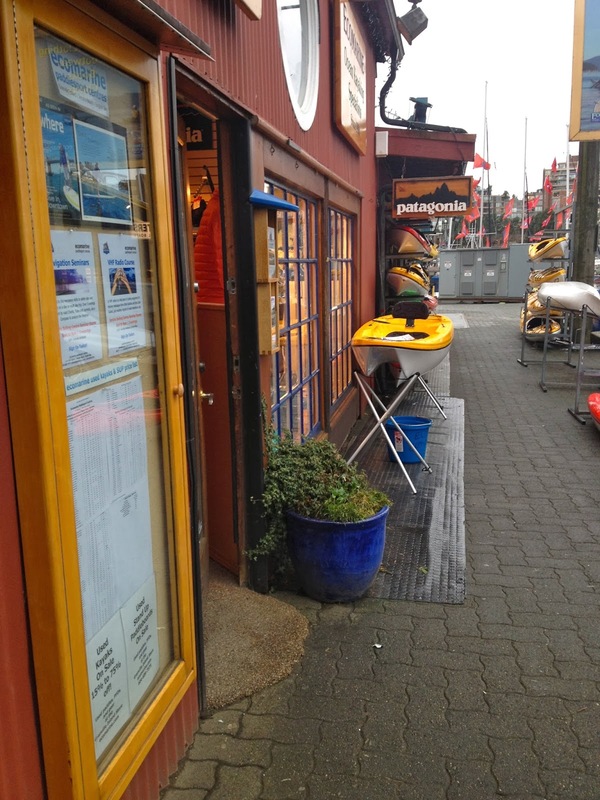 Every weekend we try and go on at least one family adventure- our adventures don't need to be big or even cost a lot of money- in fact the best adventures are often close to home and cost roughly the same as a cup of coffee- or are an actual cup of coffee! This weekend was no exception- we stuck close to home but paid a visit to one of our favourite beaches- English Bay- usually we find it far too crowded with tourists but this weekend snow was gently falling and the beach was abandoned save for the Surfrider Foundation doing beach clean up- and of course us! 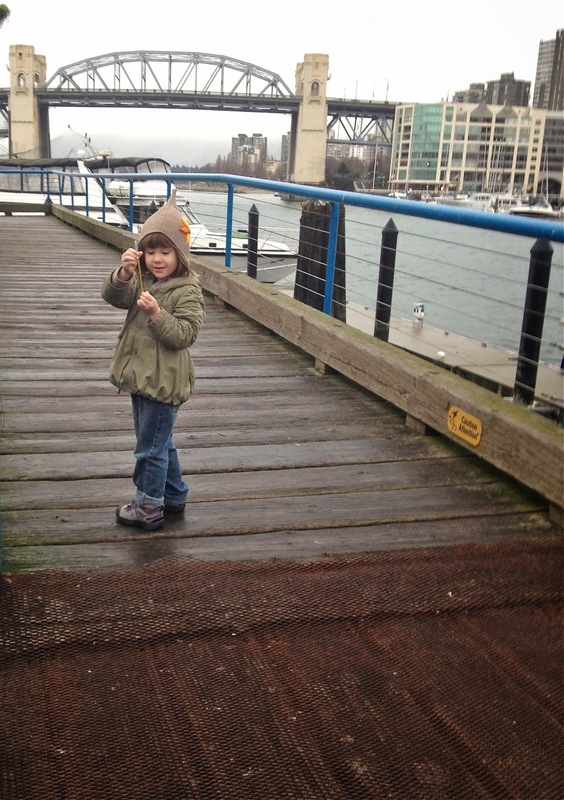 With our coffees in hand - the Mr and I guided our Littles through the deserted streets of Vancouver's West End- once at the beach we turned them loose to do what kids do best- mostly roll in the sand. There was a fair amount of beach combing, some races and lots of digging. Yeah this is why we love the West Coast- deserted beaches all to our selves in the middle of winter! I love the sound of the city when it snows- a quiet descends as folks chose to stay indoors, the falling snow muffling the traffic- the normal hustle and bustle seems to slow right down. This is balm to my soul as one of the most challenging aspects of city living is the noise- I think anyways- I need peace and quiet every once in a while. 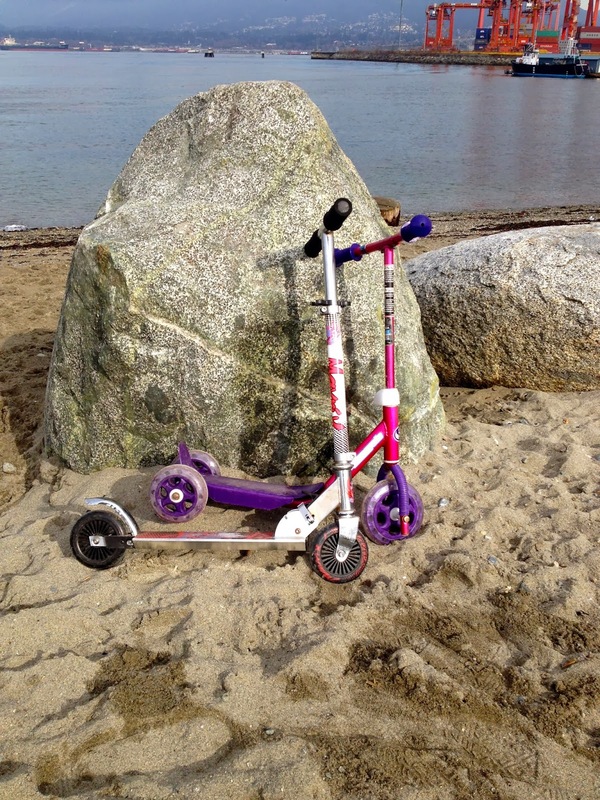 We have little secret spots all over our dear city where our family seeks out solitude- English Bay is not usually one of them- which is why it was such a treat to have the beach essentially all to ourselves! I find that winter is the season for tucking in and resting- healing ourselves for the coming time of longer days and sunshine- fun and constant activity. I am spending this time right now sorting out our lives so when those longer days hit our life won't be so disorganized. I am also spending so much time this winter pursuing things I love to do- knitting, painting- cooking of course! Filling up my soul with little domestic pursuits that make me happy- filling my soul with quiet and reflection- visiting places that give me that feeling of contentment. This is what our family weekend adventures are becoming more and more- simple and quiet- finding laughter and fun in easy living! In an effort- perhaps- to satisfy my gardening urge I decided I need a few more indoor plants- I love a good succulent- they are just so cute and perky! A small community of succulents live in our living room over near the window- nothing too prickly that might hurt small fingers but enough green to lighten any grey mood! 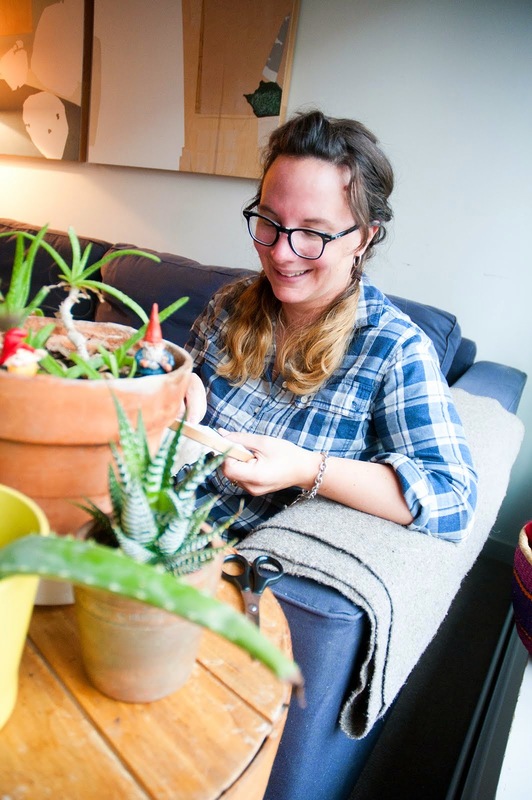 While succulents are fairly hardy souls there are some rather hard and fast rules when settling them into their new homes- which is what I thought I would share here today. Planting these little beauties is easy if you just remember the most important rule of all- succulents do not like to get their feet wet! 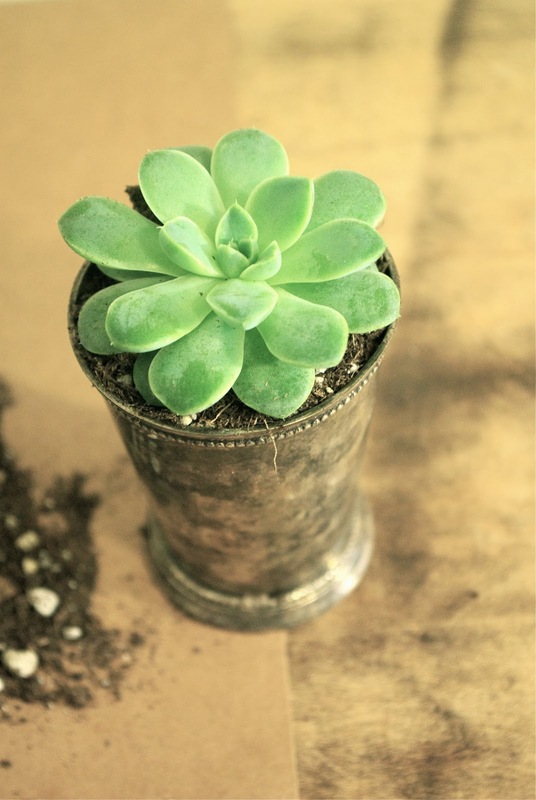 Naturally succulents don't need much water- they are after all indigenous to dry climates- that said when they do get watered they need soil with very good drainage. You can either purchase special potting soil just for succulents or you can mix together sand and regular potting soil to create a mixture that drains the water away easily. Along that same train of thought- lets talk about the planting vessel it's self- I chose to use a vintage silver mint julep cup- obviously. The only issue with this vessel is there is no drainage hole in the bottom- most of the time you could just drill one out- not the case with this vintage gem. Instead I threw a few handfuls of pebbles into the bottom to create some drainage- when combined with sparse watering this should be adequate. If one had to sum up succulents it would go something like this- sun, very little water and hard to kill. Sounds like my kind of plant! Of course succulents are having a bit of a moment right now thanks to elaborate glass terrariums seen in many a design magazine these days- but I prefer a small table top gathering- stashed away in a sunny corner- providing that mood lightening pop of green every Vancouver home could use. PS- yes that is a succulent growing out of the back of a dinosaur- our friend Caro makes the best take homes treats at birthday parties! This weekend was my birthday- another year done- well done in my personal opinion- filled with plenty of fun- mostly outdoors- with wonderful people- that is my definition of well done. I know lots of people use birthdays as milestones or markers to compare themselves to others and I am not exempt from this milestone making- I too have had goals that I had set for myself this past year- I worked hard to seek out grace and I am working on it still- reaching deep within to accept the things that are working for me and letting go of the things that are not- which can be hard. This past year I have worked so hard towards better health- and it was going really well until about New Years- I can tell from how my pants are fitting that it is time once again to step away from the cheese and bread! Although I thoroughly enjoyed it- I need to get back to healthy, whole eating- get back to my yoga class (I haven't been in 2 whole weeks!). At this point in my life loosing weight leading a healthy lifestyle is not so much about being thin- although clothes do look much better!- for me this journey is about wellness and setting a healthy example for my children. Also I want to be as healthy and active at 65 as I am at 38- The Mr.'s Aunt is well in her 70's-she still golfs and gets down on the floor to play with kids- hello I want to be that lady! At any rate new goals have been set for my "late thirties" and as I stare down forty I'm not gonna let it become a terrible thing- I feel more settled in my own skin now more than I ever have been. I feel less frantic, more confident and weirdly enough I feel wisdom creeping in. Maybe it is because of this settledness that I have no need to celebrate my birthday with elaborate plans- I celebrate every day in many small ways- I celebrate myself. 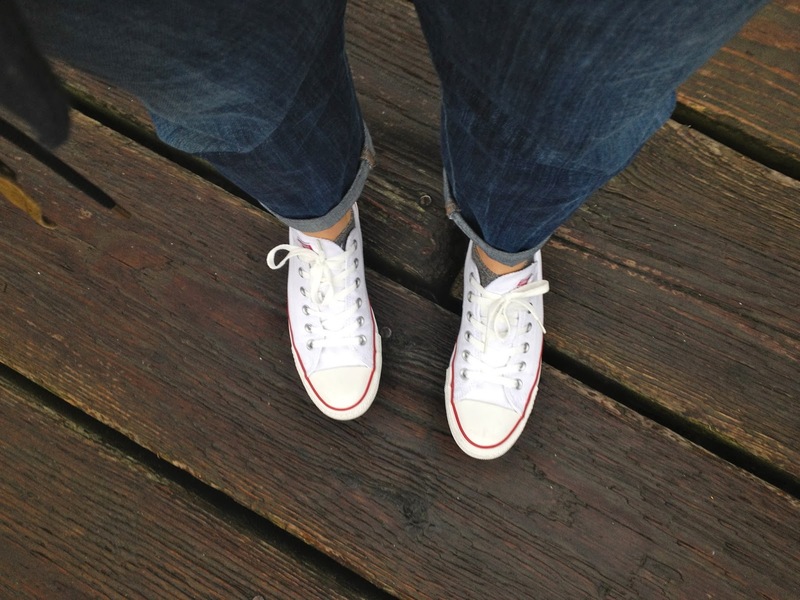 This years birthday wish was a hike out at Deep Cove- thanks to the weather that was put on hold- so a fresh pair of Optic White All Stars, a latte and a wonder around Granville Island happened instead. It was the perfect way to celebrate 38! Happy Valentine's Day! I love- love. There really is nothing like good old fashioned treats and heart shaped paper sweet nothings- you know easy love- before it became complicated and expensive. The need to out do one another on Valentine's day has unfortunately soured a lot of people towards what can be a very fun holiday- I say lets reclaim Valentine's day and keep it simple folks! Lets cut out paper hearts and bust out the stickers and markers- lets tell our loved ones how much we care by the trail of glitter that follows our card! 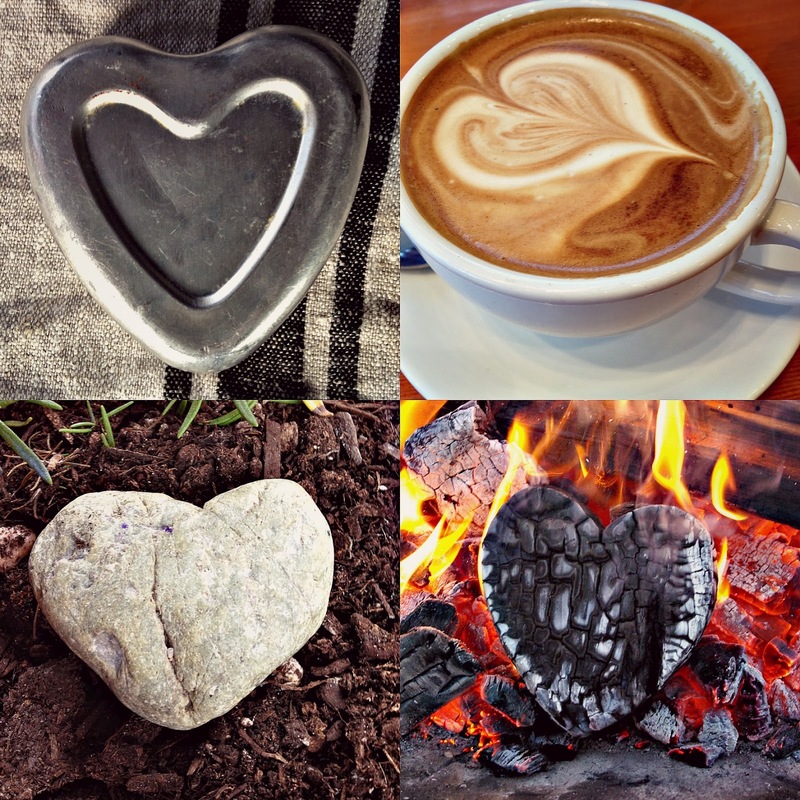 Today's post is short & sweet folks- I have heart shaped scones to bake for breakfast and little ones to get out the door with a waterproofed bag of glue laden cards. It is Friday dear Friends and Thank Goodness for that! Every Friday an impromptu play date erupts in our building- on our floor in particular- the parent's open up our doors and let the kids run up and down the hall- slipping in and out of each other's apartments- toys get traded- cats run by with a paranoid stare- kids dress up- strange games involving Indiana Jones & Ballerinas play out in the halls of a Gastown apartment building. It's like a 70's block party only inside- who ever says that community can't be found in a busy city is wrong. We have tried to live in so many parts of this city- we have accidentally found a home in the most unlikely of spots- and right now for this very moment in time we are blessed to have amazing neighbours who care about each other- a village- a village that happens to enjoy a fine boxed wine just as much as I do! Sometimes when you least expect it what you need is right under your nose- and it is simple just like construction paper valentines. Anyways I promised I would keep this short and sweet- I have a busy day- to be followed by yet another chill weekend- we have very few plans beyond recycling the old car seats! Happy Friday Friends! ps- there have been rumours that our floor is the most fun floor in the building- and I can totally confirm that! 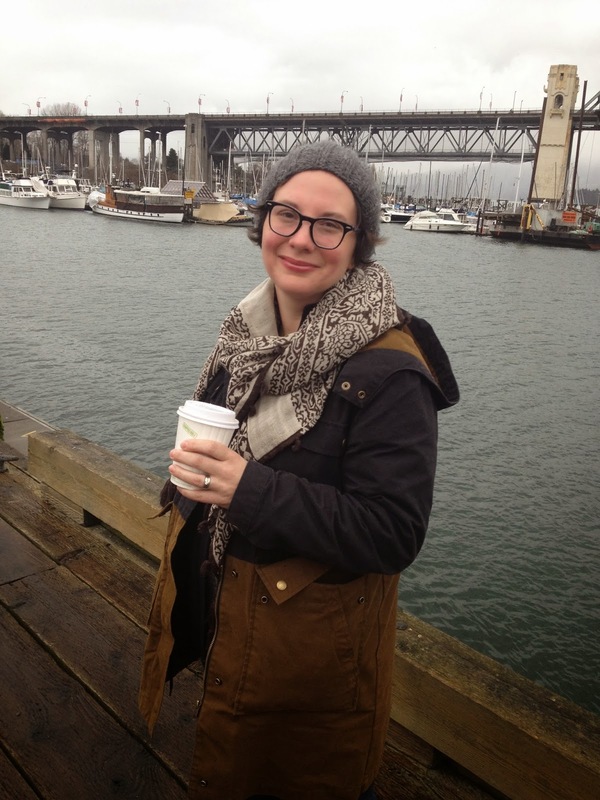 I have the travel itch and it's bad- right now I want to be anywhere but in Vancouver- I'm feeling a bit trapped. Not trapped by my family or life but trapped by the normalcy of it all- right now there is nothing new and exciting happening- this is a very common feeling for me to get at this time of the year! The picture above is one of my favourites- it was taken on the ferry home from Pender Island last summer- the breeze was warm and we had all had an excellent weekend camping- it's amazing what a weekend in the woods will do for the soul. It is soon time to start planning and reserving campsites again for the coming season- this is possibly one of my favourite things to do- making firm plans to travel months in advance. I'm excited for this year as the kids are just a little bit bigger than they were this year which means they can hike longer, learn new skills, stay up later and most importantly everyone is now tall enough to go on the whale watching zodiac! After our California adventure a few months ago I think we are considering heading South again for a short camping trip- our friends have told us such good things about camping in the Red Woods of Northern California- which is an exciting trip to think about. Also there are many State parks in Oregon that we are wishing to check out. So this year we will be traveling a little further afield- most likely sticking close to the coast- but seeking out new places we haven't explored as a family yet. The truth of the matter is that I really can't wait for warmer weather- I can't wait to be sitting around a campfire again toasting smores and drinking a cold beer- my face hot and my back chilly. I can't wait to wake up to rain falling on the tarp- that gentle pitter patter that makes you have to pee and at the same time cozy further down into the sleeping bag. I can't wait to wander down a path my feet have never traveled- eager to see whats around the corner. I can hardly wait to be outside for a full three days and come home sunburned, windswept and utterly content. Holy Moldy- I don't even know where to start- I am sick- not as sick as many other folks are getting- but sick enough to be fuzzy headed and out of sorts- it's that weird sore throat thing that's going around. Thank heaven's it's not the flu- knock on wood. This fall and winter I have been following a health plan for our family which includes lots of rest- no running around getting stressed out, probiotics, fish oil and lots of yummy healthy real food (which we would eat anyways but I am just more aware of it right now)- so far this plan has worked for us- until the other day. Now with Momma down things have kinda ground to a halt. Enter in one of my favourite comfort foods- Quinoa porridge with all the toppings! Making Quinoa porridge isn't much different than making Quinoa for dinner- with the exception of substituting milk for the water. So grab your preferred milk of choice- this works well with Almond milk as well and cook your Quinoa in that- so creamy and delicious! Top with any number of your favourite toppings- I like local, raw honey, slivered almonds and local blue berries. Maple syrup with apple sauce and cinnamon is also to die for! So here I sit this morning scarfing back a bowl of amazing deliciousness and thinking about how much I miss being outside- incidentally it is actually sunny here today- crazy winter weather! This week we have had extreme low temperatures, snow, rain- complete with rain warnings all followed up with glorious sunshine today. I think I am going to bundle up and go sit on the deck for a bit- enjoy some all natural vitamin D! ps- make sure to regularly stir the Quinoa so the milk doesn't burn and stick to the pot- also try not to let it boil over- otherwise you will be cleaning the stove top like I will be when I'm feeling better. 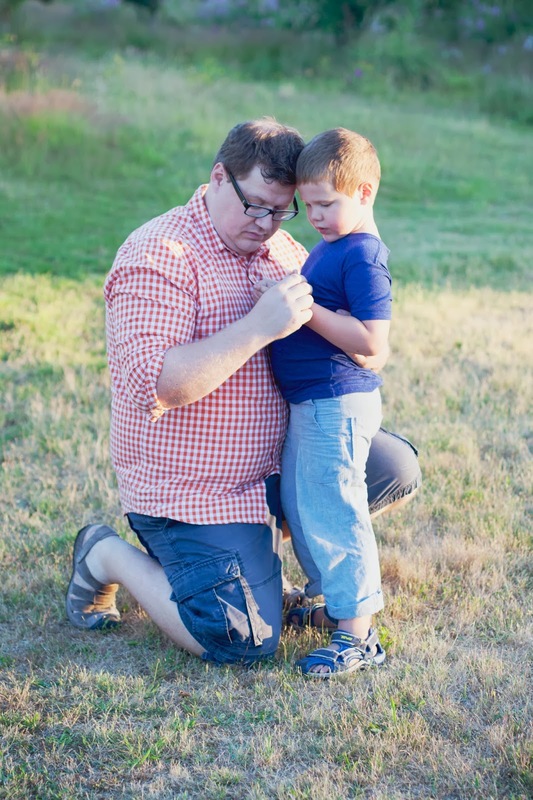 I don't write often about my husband much here on the blog- while he is half the driving force behind everything this family does -I try to respect his privacy. Sometimes though on days like today I will come across something that reminds me of him so much that I need to share- that is just the case with this quote from Bob Marley. The following sums how I feel about my Mr. perfectly!
" He's not perfect. You aren't either, and the two of you will never be perfect. and give him the most you can. every moment, but he will give you a part of him that he knows you could break. Don't hurt him, don't change him, and don't expect more than he can give. * thank you once again to Lisa Pickard Photography for this photo and a bundle of other beautiful family memories! Good Morning Friends- I like to imagine that we are all just meeting up for coffee and a chat- I usually come to this space with that in mind- I am writing a conversation with my dear friends over the miles! This morning we are waking up to a long weekend- Family Day in B.C.- and while I am usually super excited to hop out of bed and run out the door for a fun activity my family has decided they want to just chill- so chillin' it is. Some Lego for the Mr. and The Boy- Miss Lo and I are getting our craft on because you know it's Valentine's Day soon! These cute little birds were inspired by those lovely ladies up at Collage Collage- our favourite go to spot for craft supplies! 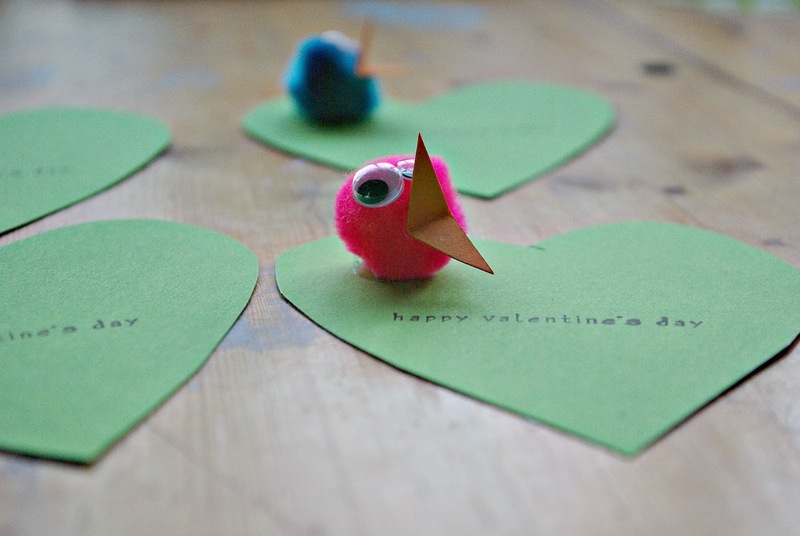 We were there a few weeks ago and one of the classes had created bird crowns- this idea of super simple little pom pom birds stuck with me and I felt they needed to be turned into this year's Valentine's cards- because everything is better with googly eyes! Am I right or am I right? All you will need for the Birds of Feather Valentine's cards are a packet of assorted pom poms- we like the fluorescent ones- who says Valentines day needs to be exclusive to red & pink! 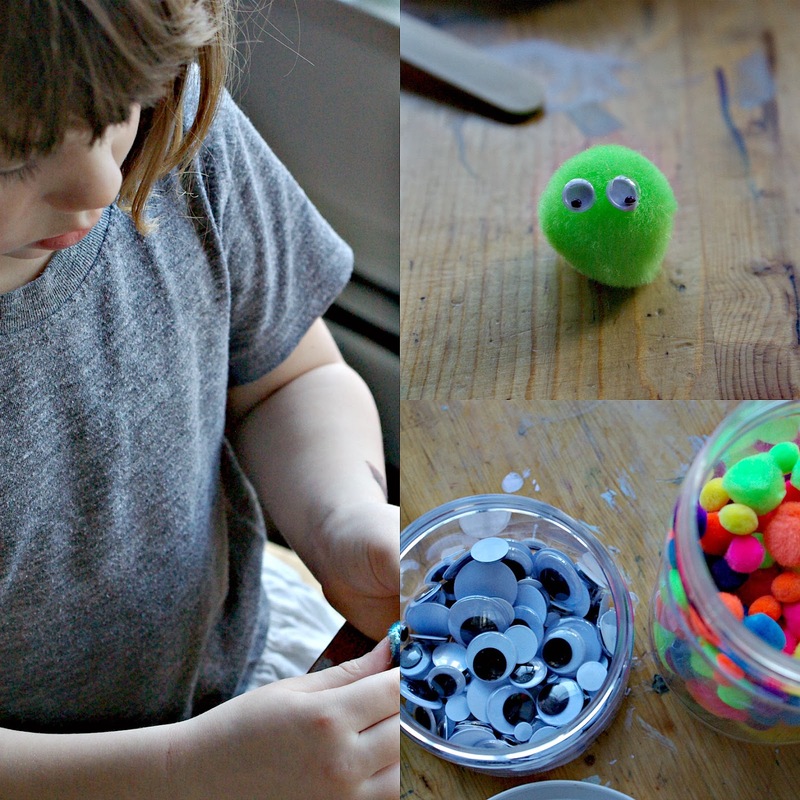 You will also need white glue, googly eyes, orange paper and some green card stock- use a heavy weight like Bristol board which I find holds up to white glue and enthusiastic 4 year old crafting! To start with glue on the googly eyes- we used a popsicle stick to get the glue onto the googly eyes- Miss Lo found the tiny eyes very frustrating so she was in charge of the larger sized ones- glue on the eyes and set aside for a minute or two while the white glue sets up- cut out diamonds from the orange paper and fold in half- these are the beaks- glue in place and allow the glue to set up. While the bird bodies are drying take this time to cut out the hearts- we started with a heart template and traced it out onto the green cards stock so all the hearts would be uniform- Miss Lo is a whiz with scissors but if your little one is not quite there yet you can help out with the cutting. 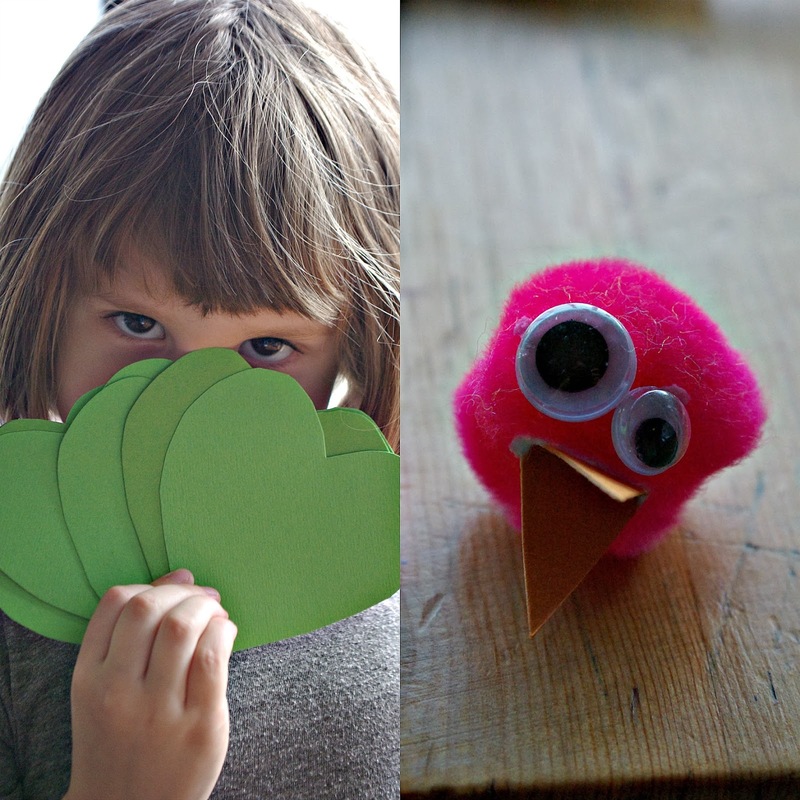 The green hearts are in fact leaves and the base for the cards- go ahead and glue the pom pom birds down to the heart leaves! Stamp or write your Valentine's greeting onto the card- weather you write your name or send it as a Secret Admirer is up to you! I love Valentine's day- setting aside the commercialism is easy if you just think outside the box a bit. This time of year can be rather dull and it is still months away from Spring Break- what a better way to break the mid school year slump than with a little bit of love! As a side note: pom poms and googly eyes are from Collage Collage- coloured papers from Opus Framing and Art Supplies- "happy valentine's day" stamp from I'm Impressed. This week has been exceptionally cold and sunny here in Vancouver- cold enough that none of us want to go outside and sunny enough to make me want to nest- add in The Boy's birthday yesterday and you have a recipe for crazy amounts of baking. This week is Birthday week- first The Boy, then Lovely Cousin Laura's, then the Mr.'s followed up by mine- yup it's a busy week potentially full of cake- so I like to mix things up a bit and make unconventional birthday treats- like our favourite Hot Chocolate cake! - stay warm and enjoy! * alternatively you can bake this cake in individual ramekins- if that is the way you chose to go bake for 13- 17 minutes at the same temp. Friends it is Friday again- we are celebrating The Boy tomorrow with a fun movie party- complete with ice cream cake, pop corn and a crazy amount of kids. Monday is Family Day in BC so we have big plans to assemble a Lego set containing 1007 pieces- wish us luck! Happy Friday Friends! My dear boy- last night you went to bed a five year old and today you woke up six- life moves pretty fast! Today is not only your birthday but mine as well- it is the day I became your mother- the day I set myself aside and took on the building of a good person. Those early days are so hard to remember- fuzzy at best- vague recollections of days spent watching you sleep as the early Spring sun slanted through the blinds over your face. You are my Spring baby. As you grow and change I can see why Mothers everywhere still look upon their grown children as though they are infants- not that you are even close to being grown but I understand. I look at you and see quietly blooming confidence- full of questions demanding answers- keenly aware of life around you- I still see the precocious toddler with a halo of blond, fuzzy curls- face covered in chocolate. Your feet are almost as big as mine- which you pointed out this morning. This morning you jumped out of your own bed and came to us- wondering if your tooth had spontaneously fallen out now that you were six. I asked if you felt any different- you said you felt bigger- that you probably wouldn't wrestle any more. Somehow I think you will still wrestle- you have an energy that is infectious and at times exhausting- I can't see you ever wanting to sit still- and I don't want you to. This year has been so full of challenges for you and time and time again we have risen to meet them together as a family- full day school is a lot and I am so thankful for a teacher who understands that boys need to be outside running and playing. You are learning what it really means to be kind and inclusive- how it hurts when others are not. You are learning how to talk to others with out hurting them- interpersonal skills can go a long way in kindergarten! My boy- my first- my little love- we are so proud of you- it amazes us to no end the things you know- the skills you are gathering. It is hard to believe we have any part in that but somehow you take everything in that we have to offer- you process it and I can see the wheels turning at times. Life can be hard and scary but nothing worth having ever is! We love you dear boy and love walking this path together with you! Happy Birthday! 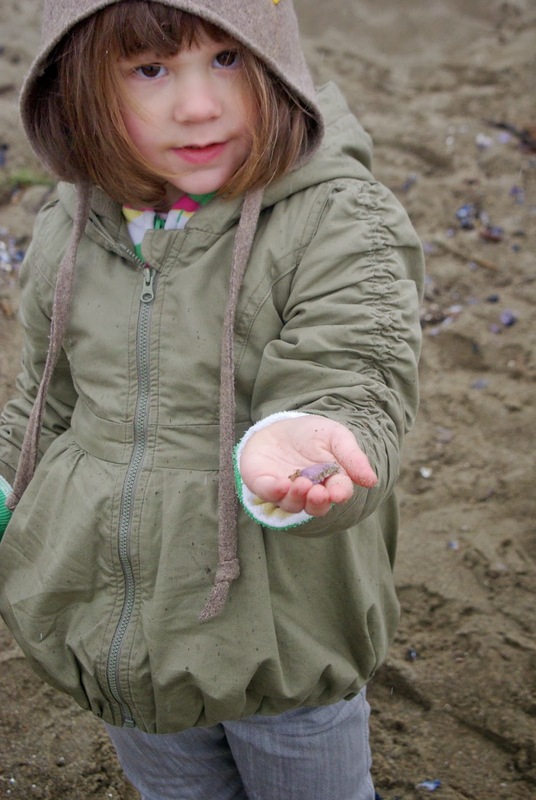 With all of our hikes, camping and beach time we inevitably bring a great deal of nature inside- it is just bound to happen when you have little ones who are interested in nature. Not to mention a Momma who thinks that the perfect shell or feather is a better room accessory than any other nick knack or doodad! While we do have several "specimen" jars- all labeled and dated according to when and where the items were found- we also like to have special pieces of nature that are accessible for us to handle and explore on a daily basis- we call this our nature bowl. 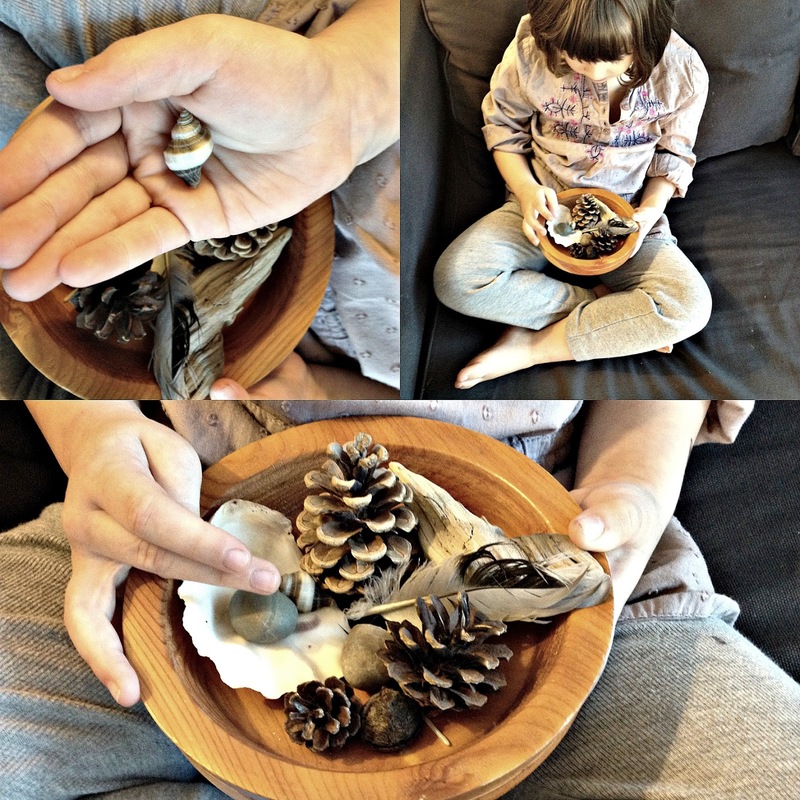 When we started our nature bowl it was purely intuitive- it just felt right to have bits of nature that we had collected in our home for our children to explore and connect with. Little did I know this is actually part of a larger growing movement in the education system to reconnect children to nature and to encourage natural observation. A child who feels more connected with nature and the environment is one who will more likely conserve that resource and grow into an adult with environmentally friendly tendencies! It is so easy to create a nature bowl in your own house- we used a bowl that my Grandpa carved however such a home hewn vessel in not necessary! Find a basket or a felted bowl- any vessel made of natural materials will do- if you have we ones make sure the bowl is pretty indestructible! Fill it with seasonal bits of nature found on walks or visits to the beach- pine cones, special rocks, shells, feathers- that sort of thing. 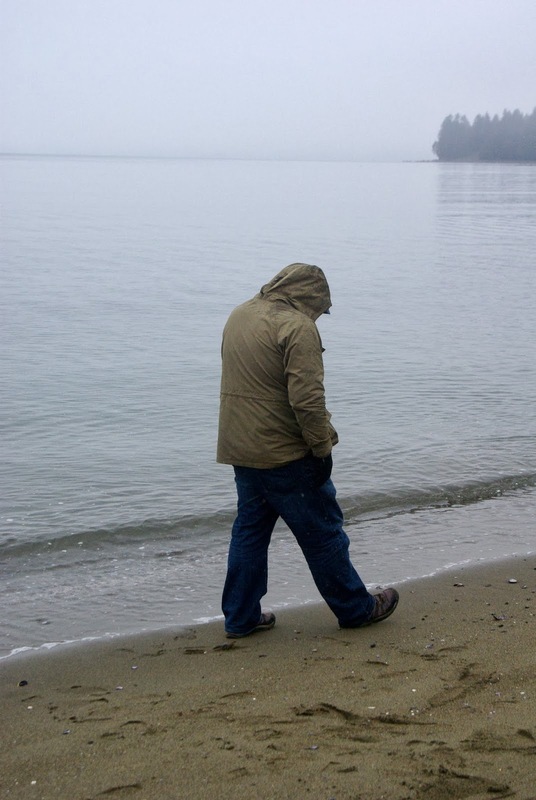 Our family always is sure to take only what has fallen- so we never pick anything living and we certainly never take live animals from the shore. Place the nature bowl in an easily accessible location for the whole family to explore and enjoy at their leisure. Of course if you have very young children it's a good idea to make the nature bowl toddler or baby friendly- no choking hazards! Another fun way to create a collection is to document your collection as you find it through photography- this is great if you decide to collect something like moss- which would be impossible to bring home. 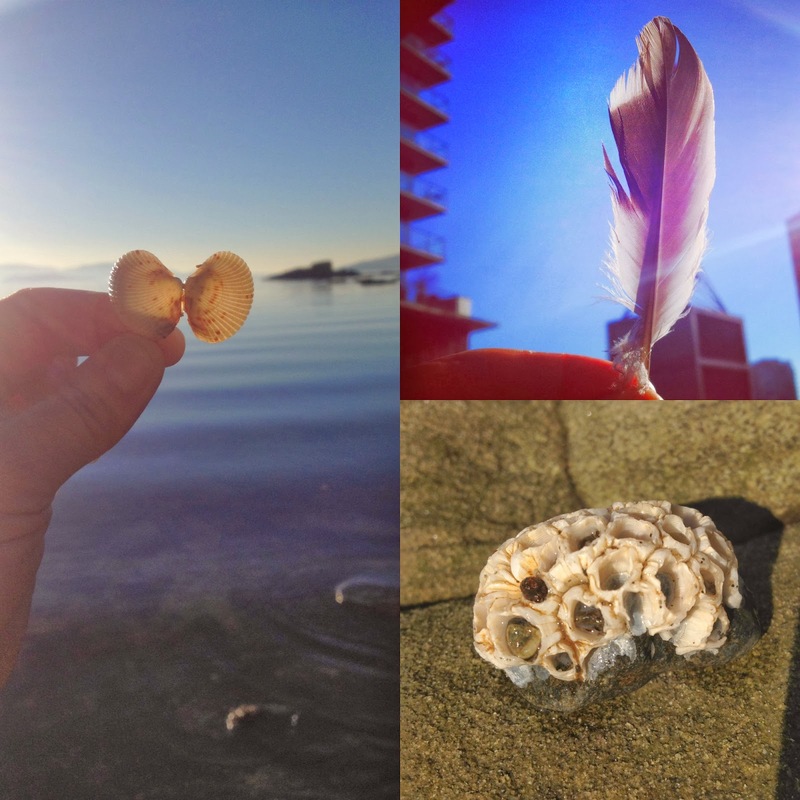 Documenting sea creatures through photography is one of our favourite ways to remember our starfish and barnacle "collections" that are still happy and alive after we found them! 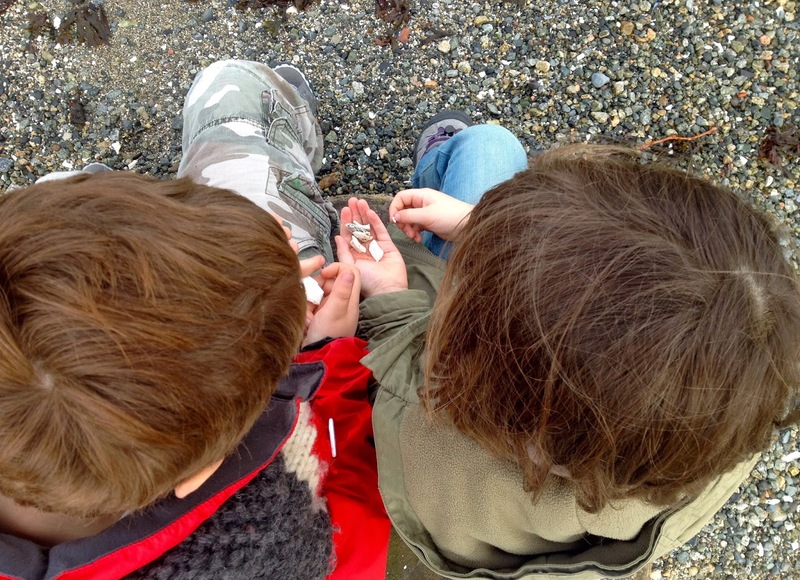 The very idea of making education visible to children is so important- they are after all very visual creatures- and tangible collections like rocks or sticks excites them as well as connecting them to the natural world. 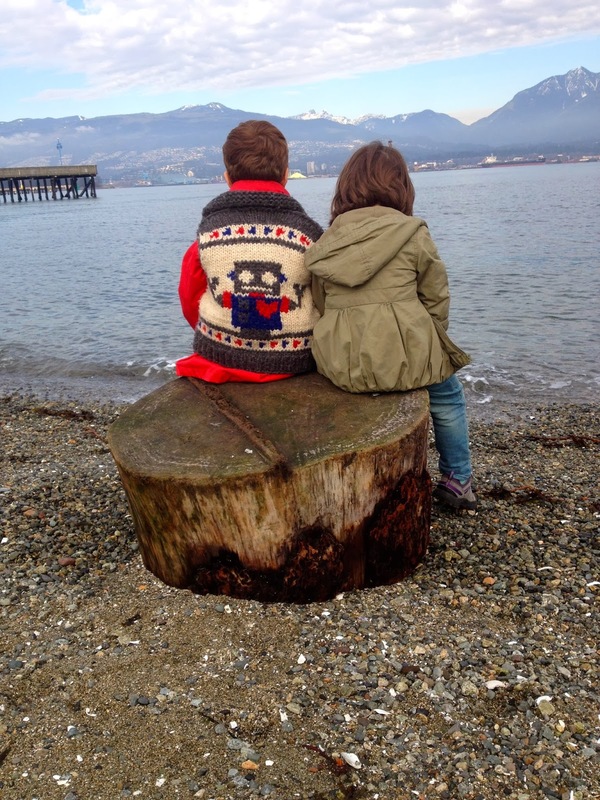 Living in the very downtown of a busy city this has always been a concern for my husband and I- how to give our children a similar connection to nature as we had as children. I think because we are so aware of this and seek out nature at every opportunity perhaps our children are more in tune and connected than we ever were!